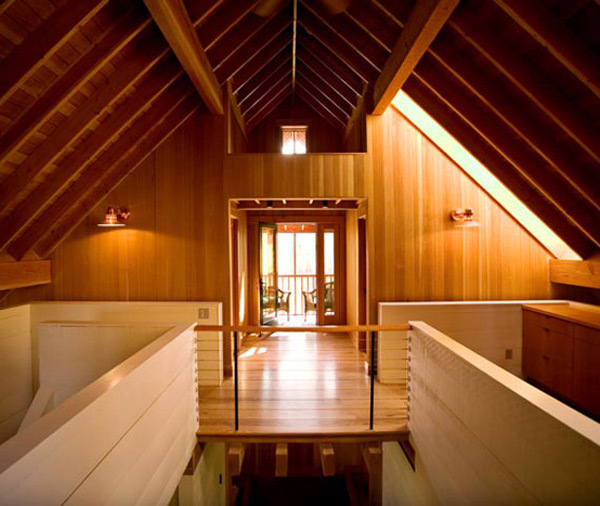 Exposed roof framing is one of the most prominent features of Pacific Northwest modernism, and the best examples beautifully reveal the structure while drawing on the characteristics of wood framing for visual warmth. While there are many ways to go about an exposed roof framing system, today’s post focuses specifically on A-frame structures (otherwise known as gable roofs). 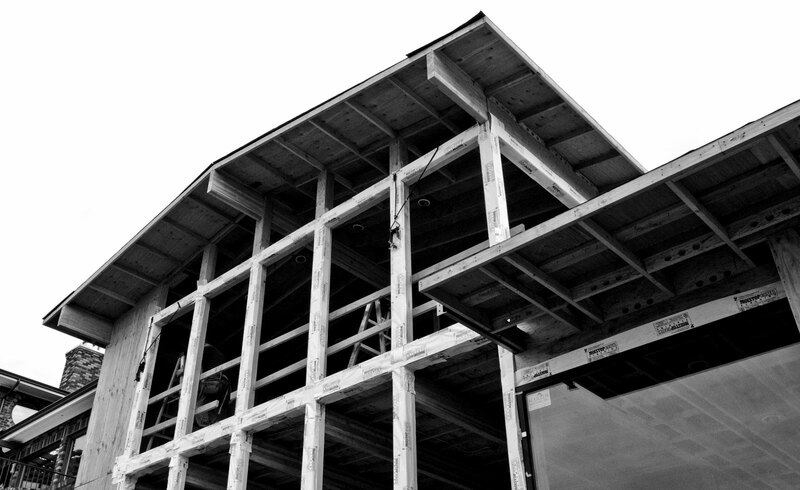 Conventional methods of exposed A-frame construction offer only a few structural solutions, but there are important distinctions, both physically and aesthetically, that should be understood about the mechanics of each system. The two primary structural systems doing the heavy lifting of an exposed A-frame are the ridge beam and the ridge board systems. Each of these systems also includes several interesting variations covered below. The engineering principles are pretty straight-forward for a ridge beam. The sloped roof joists span between two pinned points; one at the envelope of the structure on top of a framed wall or a header, the other at the peak of the structure on top of the ridge beam. (The ridge beam could also be flush with the joists.) 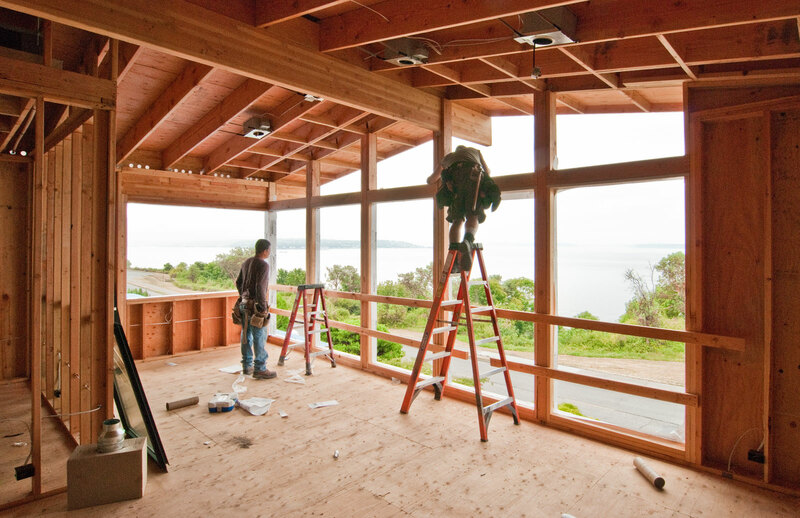 The ridge beam is typically a larger member (like a 4 x 12) and carries the gravity load of the roof joists just as the bearing wall or header does at the envelope. A classic example of the exposed ridge beam structure can be seen on our Magnolia Residence which is currently in construction. The example above uses a drop beam with concealed roof joists but the joists could also be exposed like the example (below, left) in West Seattle. Note that because the joists are spaced unusually far apart, there are most likely structural purlins above the joists. 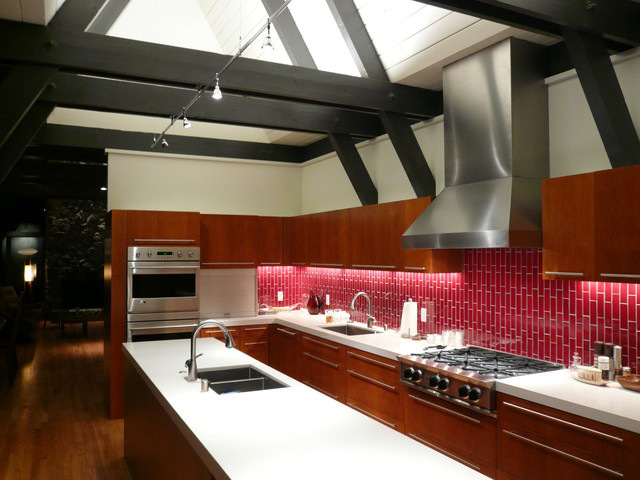 A flush ridge beam, as in the Hayes Residence (above, right) by Ray Kappe, demonstrates the same principles only with the ridge beam aligned in the same plane as the roof joists. An interesting variation on the ridge beam system is the double-beam configuration which keeps the roof peak entirely clear of beams. The Colorado House by Turnbull Griffin Haesloop Architects (above) creates a crisp, open aesthetic while aligning the double beams with the wall structure below. 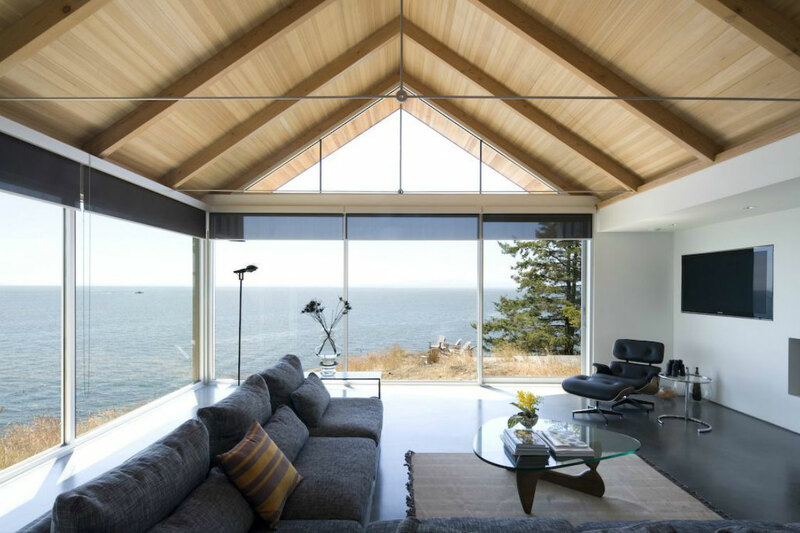 The Skylight House by Cliff May (below) allows the roof peak to open up for natural light. The engineering principles of the ridge board are a bit more complicated. Because the ridge board is a smaller member (typically only an inch thick, sometimes even less) it is not a structural member and doesn’t carry the gravity load. Its only job is to provide a connection point for the roof joists on each side of the roof. This means that the gravity load is being carried through the roof joists out to the bearing walls. The gravity force at the peak of the roof pushes down and out, requiring a tension member to hold the assembly together. To resist the gravity force pushing out, each joist needs a tension member or the headers at the perimeter need to act as lateral beams spanning between the tension ties. Traditional examples of the ridge board system utilize wood tension ties (a.k.a. collar ties) of a similar dimension and look as the roof joists. 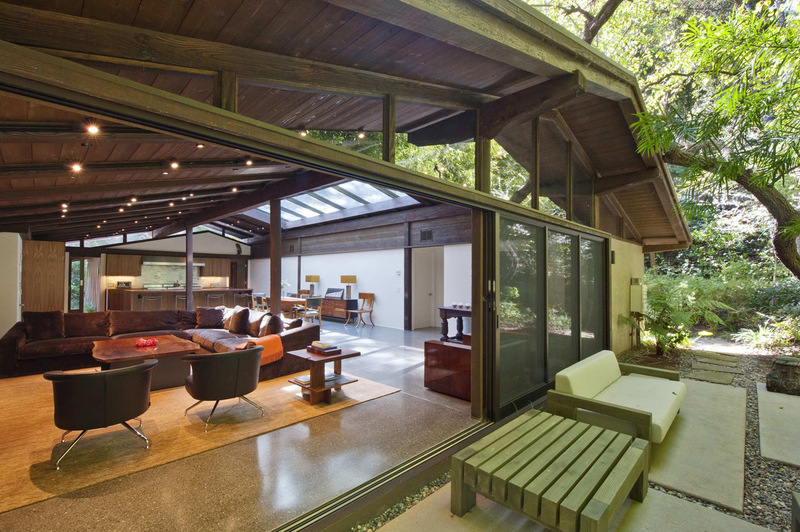 A classic example is the Los Altos Hills Remodel (below) by Klopf Architecture, which uses a double 2x tension tie to sandwich each roof joist. The entire roof joist & tension tie assembly is painted a similar color to express the structure. 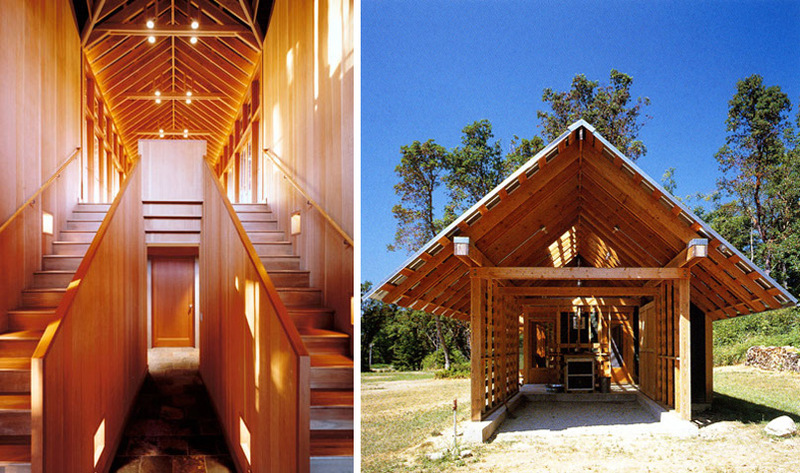 In the Napa Residence by William Turnbull (below, left) double 2x members act as tension ties sandwiching the roof joists every six bays. The assembly is also a great opportunity for overhead lighting, as the electrical conduit can be easily concealed above the tension ties. 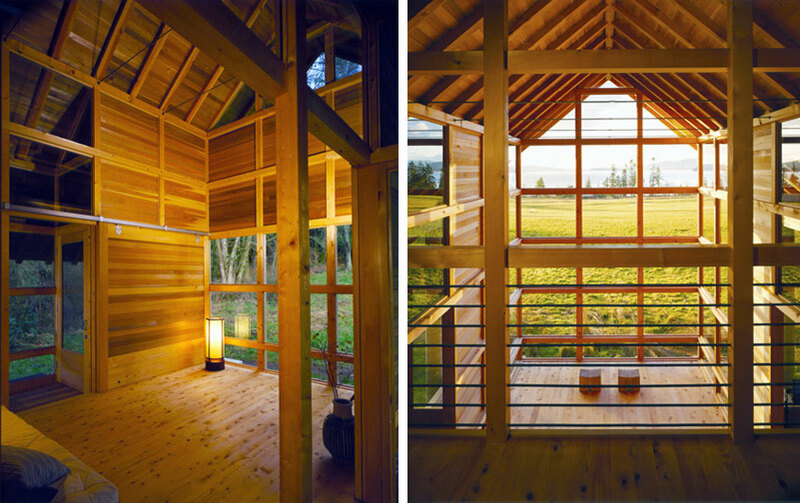 In the Maury Island Cabine (above, right) example by Miller Hull, the wood tension ties are dropped below the headers at each exterior wall; this requires the headers to span between the roof joists and act as beams in two directions (up and down for gravity and side to side to resist the roof joists pushing out). 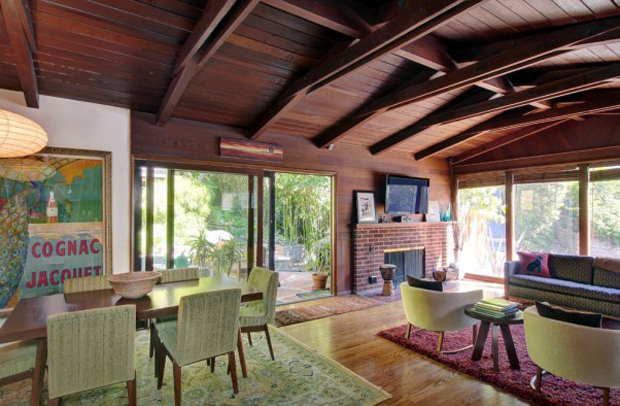 In the Valley Oak Drive House (below), a system of double 2x tension ties at each roof joist are located closer to the ridge board to create an architectural feature within the room. A modern innovation with roof tension ties was the introduction of steel rods. Because steel’s tensile strength is so much higher than that of wood (about 50 times higher), a significantly smaller cross section of steel can get the job done much more effectively than wood. When detailed correctly, attenuated steel tension rods provide the necessary structure and compliment a modern aesthetic. 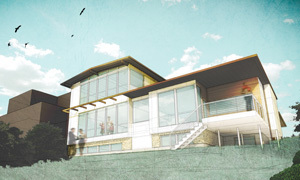 Many of our favorite examples have been designed by Rex Hohlbein Architects here in Seattle. The Camano House (below) uses slender steel tension ties with turnbuckles; beams at each side resist the lateral force of the roof joists between tension ties. The tension ties center on double joists above which allow just enough of a gap to accommodate concealed track lights. The finished assembly is clean, functional and deliberate. One of the main benefits of using a ridge board system is the elimination of the columns typically required under each end of a ridge beam. With the columns removed, each end of the gable can be opened up. The Mount Vernon Retreat (below) by George Suyama takes full advantage of this concept and gives inhabitants a clear view and plenty of daylight. A clever hybrid of the steel tension tie system is seen in the Adelaar Residence (below) design by Vancouver’s Burgers Architecture, Inc. The design further simplifies the assembly by removing the ridge board of all things — which doesn’t really need to be there if the joists are tightly fitted together at the peak. Minimal steel rods resist the lateral forces and the finished product is one of the most sophisticated and handsome that we’ve seen. There are a wealth of hybrids and variations of the ridge beam and ridge board structural systems in modern design and these are just a few of our favorites. We’d love to see your favorites. Great post! One of my favorite topics is this type of construction. I know today’s typical residential construction is all about “more space; and cheaper.”…although I have to wonder if a bit more thought was put into the effort of tract home development, a post and beam house with lofted ceilings wouldn’t be much more. @Henry: If I am recalling it correctly, i think they are calling it the “Experimental Ranch” on their website…and it is very well done indeed! My favorite type of posts from you guys. It’s always nice to see a technical post describing the background and thought of your great designs. @ Henry: Ha, true. We’ll consider this a cheat-sheet for any and all who wish to use it. @ archaalto: Exactly our thoughts. Hopefully we can all turn the tide towards a more sensible approach to design and construction. Thanks for weighing in. @ Steve: Thanks, we enjoy putting them out there! i’m always torn on this. on the one hand, it’s a stunning effect. on the other, it’s a building science no no. i do like the look, and getting rigid insulation outside of the sheathing is also a better move. the austrians are really good at doing these as well. Mike, I’m glad you brought up building science because while I love most of what I see on this site, especially the technical understanding of architecture, I am frustrated by the apparent lack of recognition of thermal envelope issues. 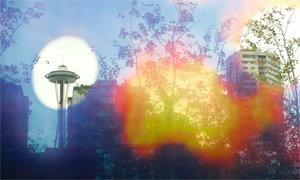 It’s Seatle, I get it. But here in North Carolina we are really close to mandating continuous insulation for residential, and already have it for commercial. That means every single structural element is enclosed within the thermal envelope with only fasteners and system penetrations. I’m not that excited about the “ice chest” aesthetic, but I also think those of us who care about design can’t pretend 3.5-12″ of batt insulation between framing members is just fine. …and I apologize to Seattle for misspelling your name. You deserve better. If my read is correct, the point of the article is simply to distinguish two different structural systems for A-frame construction. There are probably all sorts of related spin-off issues regarding materials, methods, sequencing, and, as you critique, thermal envelopes. But the article is very clear about only addressing exposed framing techniques. Maybe Build should address your concerns about thermal envelopes but it seems like that would be a separate article. Totally agree. I didn’t mean to hijack the topic. I’m in LA, and for a lot of remodels the client would like to eliminate their gabled attic space and have the joists and beams exposed as the ceiling in their great room, etc.. In a hot climate like ours, would you then just relocate all the insulation as rigid boards over the plywood deck? It would be great to see an article or typical detail re: what seems to be a common residential design brief. Thanks for sharing your great work and insights..
@ Amelia -you have two choices; either use rigid above the sheathing or fill the interior joist bays with insulation and frame down additional exposed joists. I am curious to know how it is taken the lateral forces because I do not see bracings. @Nelson – which example are you asking about? Adelaar res./Valley Drive House & The Skylight House. Adelaar Residence – there doesn’t seem to be much in the way of shearwalls, our guess is that’s it’s using an older “3-sided box” engineering code allowance. Valley Oak Drive House – Any number of things could be going on outside the frame of the photo; another wing of the house could easily be providing lateral resistance. Skylight House – while small, there is a chunk of solid wall at the far end of the window wall and it only takes about 5 linear feet to establish a shearwall. It’s not clear how the roof forces are getting to this wall but it looks like there might be some opportunities with the beam & joists system. This home was originally constructed in the 1950’s and it’s doubtful there even were requirements for shearwalls… but that’s a different blog post.